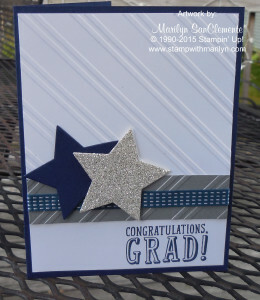 Marilyn SanClemente June 6, 2015 June 6, 2015 Graduation, Graduation card, Stampin' Up! 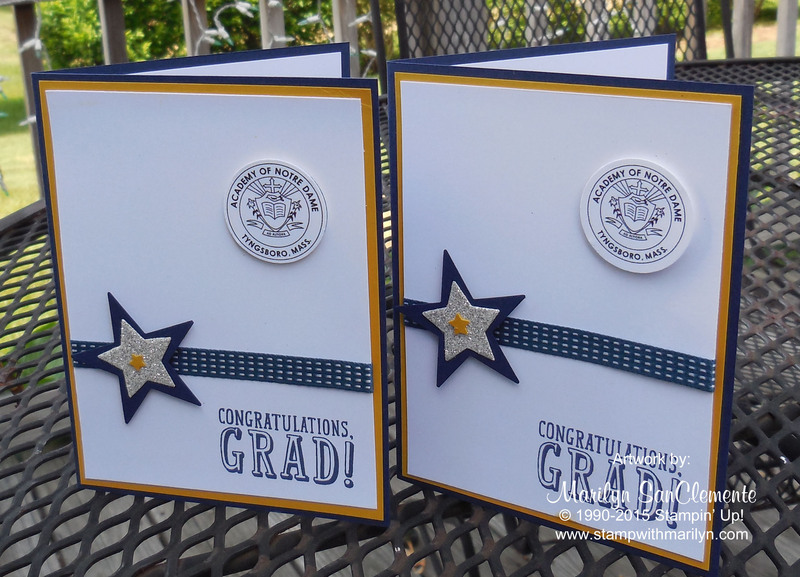 Today I am sharing a couple of handmade graduation cards that I have made over the past week. Where does time go?? We have now been in our house for 24 years. My two kids grew up with other families in our neighborhood. Well today – 3 of the other kids are graduating. One from high school and two from college. So we are having a neighborhood party today. 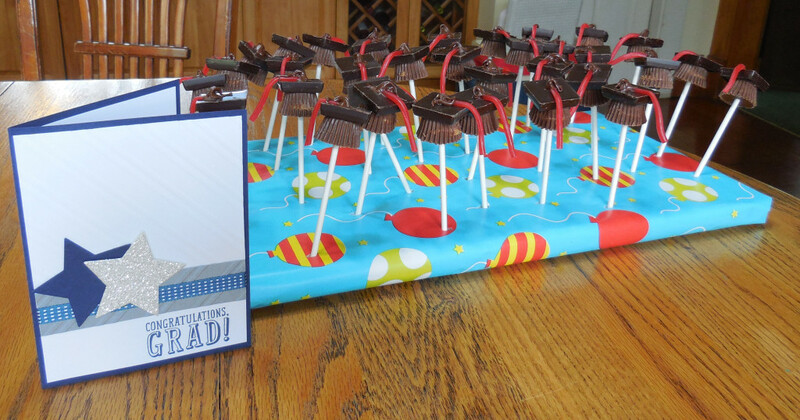 The chocolate graduation caps are made with peanut butter cups and a square of choclate. What a cut idea that I found on Pinterest. 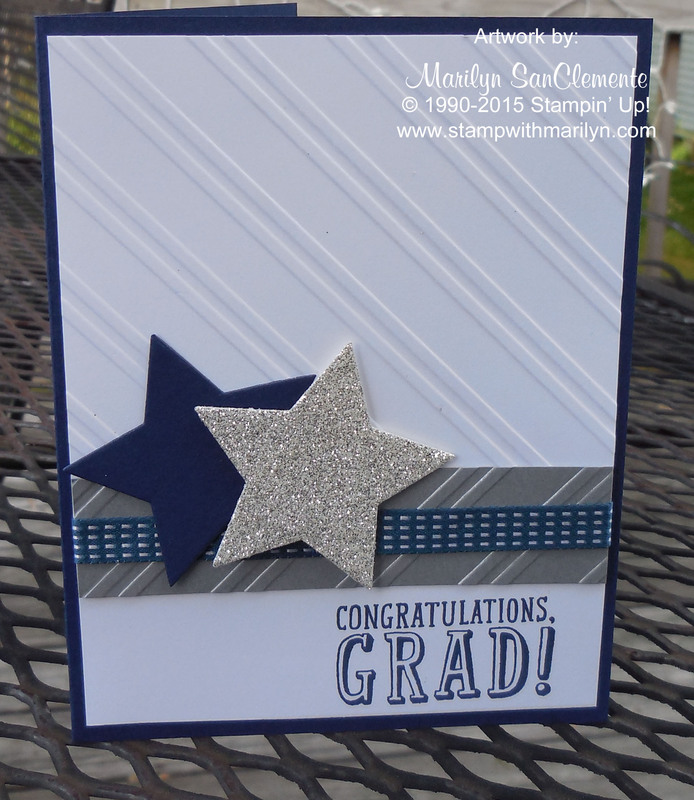 I made the first Graduation card with the BYOP Stamp set and Night of Navy Cardstock and ink. The piece of Whisper White cardstock is embossed with the Stylish Stripes embossing folder. I also embossed a one inch piece of Metallic Silver cardstock with the same embossing folder. 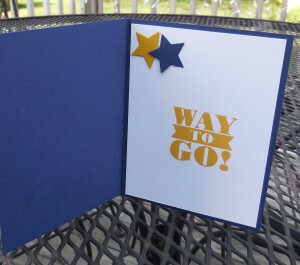 I love the elegant look that this embossing folder adds to a card. The ribbon is a piece of midnight muse ribbon that I had laying around. A great way to use up scraps! This second card is a variation that I made for a couple of my tennis kids that are graduating from Not re Dame Academy, a local high school. These are the type of cards that I sell on my Etsy Store. 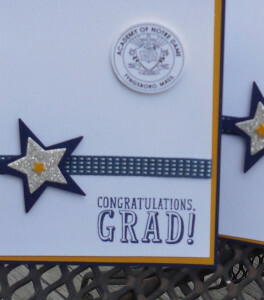 I like to personal a graduation card with the school logo so did not use the Stylish Stripes embossing folder on this card. 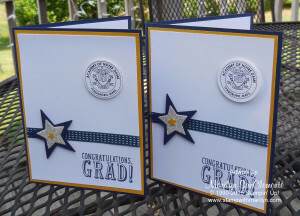 I also added a layer of Crushed curry cardstock to represent NDA colors which are Navy and Gold. On the inside of the card I used the Bravo stamp set which is a great all occasion stamp set for sentiments. 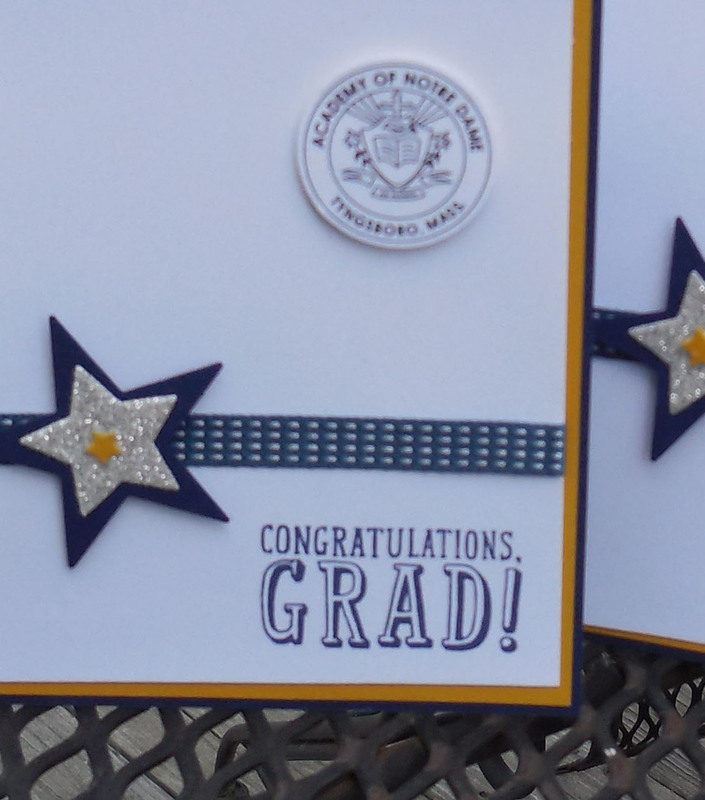 The stars are cut from the Stars framelits using Dazzling Details Glitter Paper, Night of Navy Cardstock and Crushed Curry Cardstock. So which do you like better? ?